The health hazards associated with overexposure to argon are minimal. But it is a simple asphyxiant, so in ceratin cases a release of a large volume of argon can pose a hazard of asphyxiation. Argon is neither flammable nor reactive. If a tank of argon is heated or punctured, the tank may rupture and cause physical injury. Argon is an element that exists as a gas in its natural form. 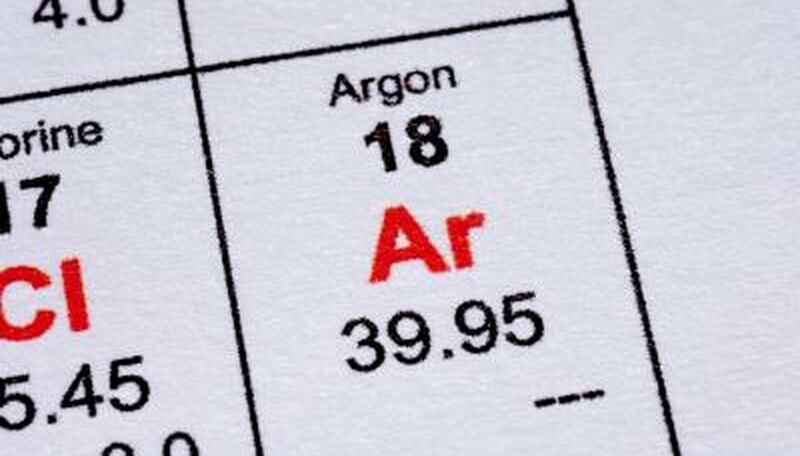 Argon is a colorless, odorless gas. Inhalation of a small amount of argon is not expected to cause adverse health effects. But, should there be an oxygen-deficient environment caused by release of a large quantity of argon, especially in a confined space, a person may experience symptoms such as headache, ringing in the ears, dizziness, drowsiness, unconsciousness, nausea, vomiting and depression of all the senses. Being confined to an oxygen-deficient environment for a prolonged period of time can even prove fatal. The air we breathe normally contains about 21 percent oxygen. At 12 to 16 percent oxygen, a person’s breathing and pulse rate increases and muscular coordination is slightly disturbed. People experience emotional upset, abnormal fatigue and disturbed respiration at 10 to 14 percent oxygen; and nausea, vomiting, collapse and loss of consciousness at 6 to 10 percent oxygen. Below 6 percent oxygen, people can develop convulsive movements and respiratory collapse; they can die. If compressed argon is rapidly released from a tank directly into the eyes or onto the skin, it may cause frostbite, injury or damage by freezing, which can progress from initial redness and tingling to gangrene if not treated. Tanks of argon may explode in the heat of a fire due to increased pressure within the tank. Argon is essentially inert and does not react with any materials under normal conditions. As of 2009, argon has been found to form only one compound, argon fluorohydride, so it is often used when an inert atmosphere is required. Argon will dissipate into the air under normal environmental conditions. It is not harmful to plant and animal life. Argon does not cause adverse effects to an aquatic environment. Michelle, A.. "Dangers of Argon." Sciencing, https://sciencing.com/dangers-argon-5443798.html. 24 April 2017.